There's no better way to express mock sympathy than by playing the "world's smallest violin," but the sad song you mime can now actually be heard. Enterprising minds at creative studio Design I/O have combined machine learning, radar and other technologies so that when you rub your thumb and forefinger together, it actually produces the sound of a violin. Google's Project Soli plays a key role in the magic. Soli is a purpose-built interaction sensor that uses miniature radar to track the motion of the human hand. The sensor and antenna array are packed into an ultra-compact 8mm x 10mm chip. Soli is designed for what the project calls "virtual tools," in which a gesture mimics the familiar interaction with a physical tool. In this case, of course, the gesture is the rubbing of thumb and forefinger associated with playing a tiny violin. 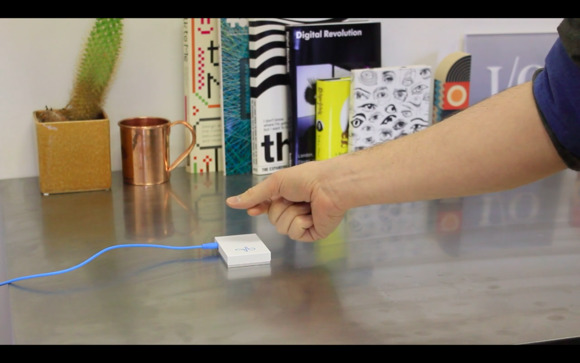 Project Soli - World's Tiniest Violin from Design I/O on Vimeo. Another key piece of the World's Tiniest Violin is an open-source machine-learning tool called the Wekinator. Designed to help users build interactive systems by demonstrating human actions and computer responses, instead of writing code, the Wekinator can be used to create musical instruments, gestural game controllers and more. The third key piece is openFrameworks, an open-source C++ toolkit designed to make coding easier for creative professionals. Put it all together and you have a device that detects your trolling gesture and outputs the musical accompaniment you always dreamed of.